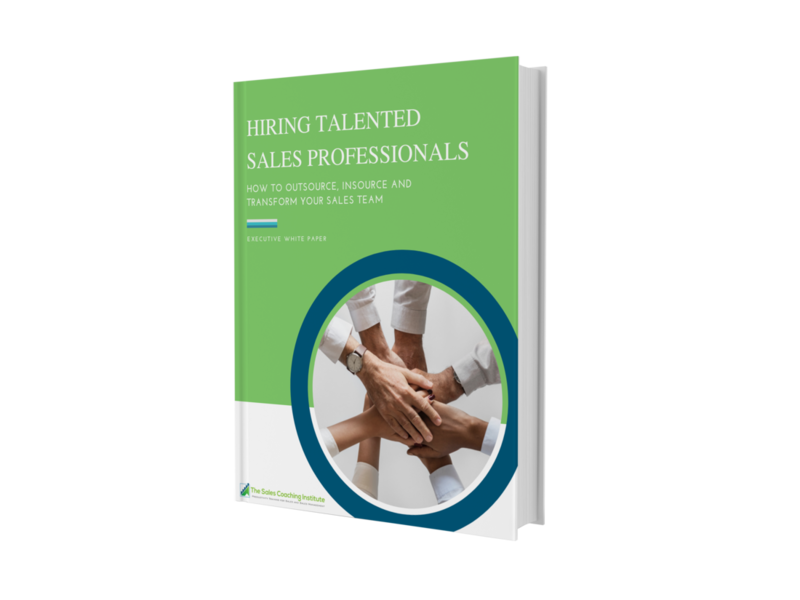 Is your organization expanding, but you are not yet ready to hire a full-time Vice President of Sales? Our Part-Time VP of Sales program provides a cost-effective and experienced sales leader at a fraction of the cost of hiring a full-time equivalent. The Sales Coaching Institute’s Part-Time VP of Sales representatives gives your company a competitive edge. Our leaders have successful sales backgrounds and real-world experience/success in selling. Our seasoned team of professionals provide your organization’s sales force with improved leadership, focus and motivation to make their numbers quarter after quarter. By providing your organization’s sales force with clear leadership and direction you are improving your chances to succeed. You are making an investment when you hire one of our part-time VP of Sales professionals. Your sales force and your company will reap dividends from this investment. Our temporary VP of sales pros stand ready to clarify sales objectives and improve selling strategies within your organization. The development of your sales force is key to building a solid foundation that will help your company grow. This investment in your organization will improve efficiency, communication, team work and strengthen your sales force overall. Let us help you unleash your organization's true sales potential with a FREE sales organization SWOT analysis.